I spent a semester in London while a student, so now I can never spell grey (gray?) correctly. Has it been over a year since I last looked at this project? Oh dear. Perhaps it doesn’t seem like much has changed, but I swear it has. 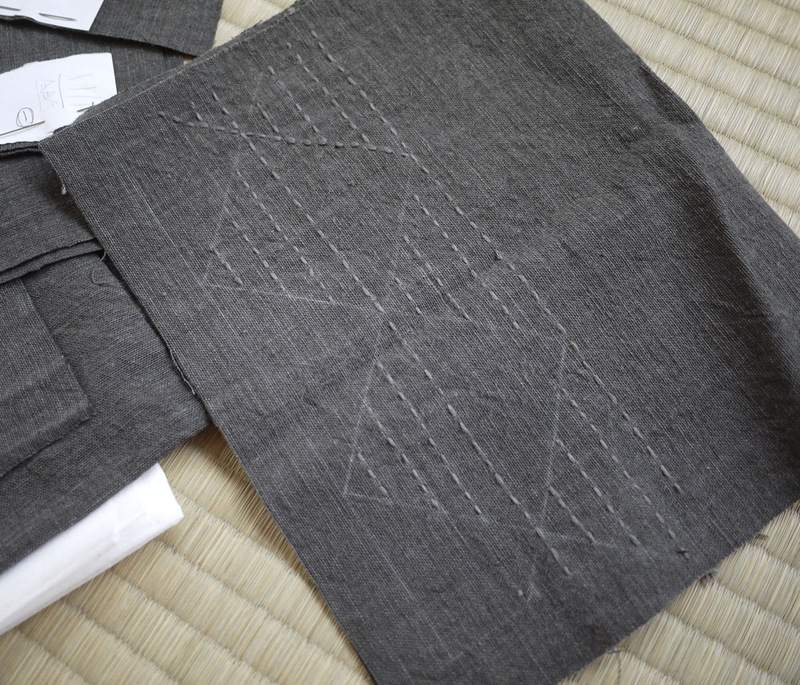 I’ve finished the sashiko stitching and now I just need my sensei to hold my hand while I pin and sew the pieces together. I’ve forgotten which goes where. It’s a bit of a mess, actually. This shoulder bag was designed by my sensei and the kit was a bit on the expensive side, so I’ve really been wanting to finish it. And then I bought this expensive button to go with my expensive kit. They were a match made in heaven, I couldn’t help myself. 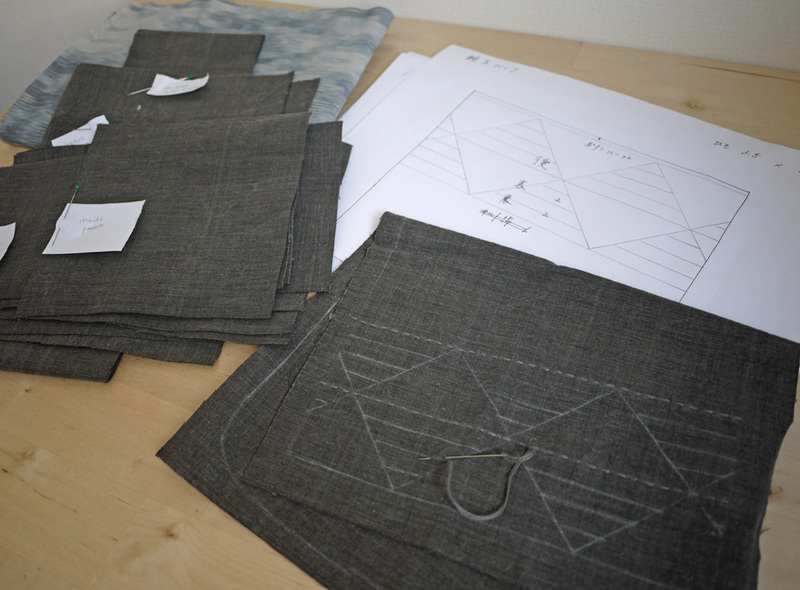 The lining she gave me is a bit ugly, so perhaps I need some expensive fabric to go with my expensive other parts. Dark is always good for the inside (dirt!) but I like a little surprise (color!) when I open my bag. Anyone have suggestions? 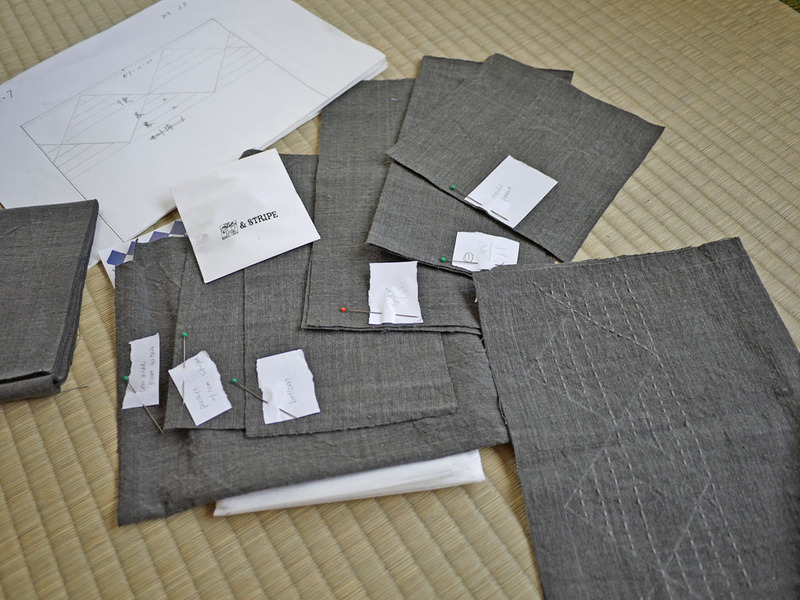 This entry was posted in Crafts, Sashiko and tagged gray, grey, Japan, match made in heaven, sashiko, works in progress. Bookmark the permalink. Looks fantastic! I like grey with red / grey with fuchsia / grey and a deep purple / grey with electric blue. All fantastic combinations (but I’ll always go for the red – and a bright one at that!). I would go with an aqua and red geometric or swirly print. Maybe that’s too matchy, though. I’m all for a deep red or purple lining. Those colours can go really nicely with such a shade of grey. Definitely colour, you can find a nice print where dirt doesn’t show so much. 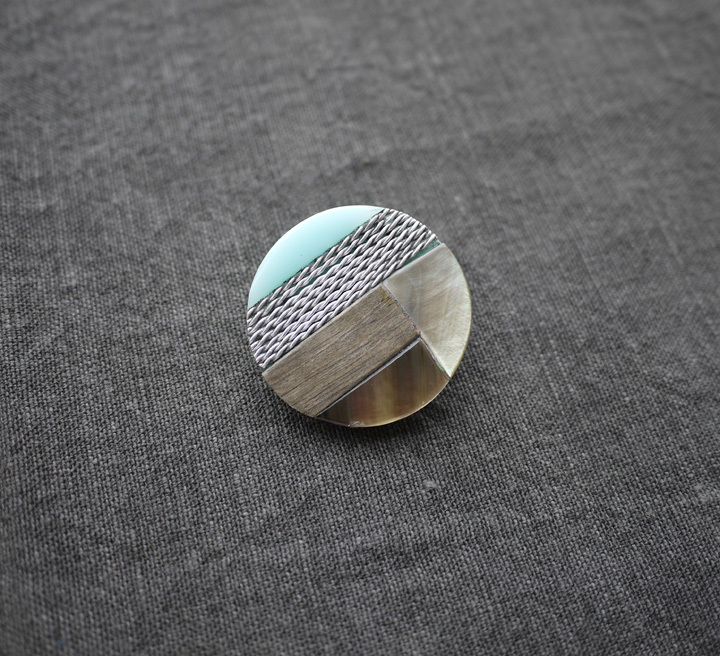 Lovely button and embroidery, I can not wait to see the final result.